Chuseok (추석) is coming up! It’s a major traditional holiday in Korea, which is celebrated over 3 days. 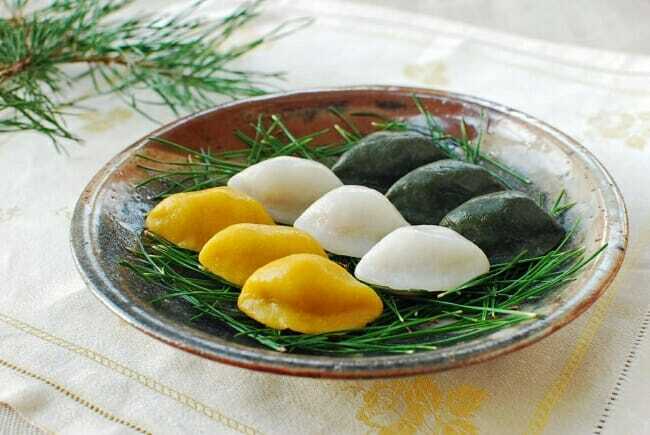 Also referred to as Hangawi (한가위), it falls on the 15th day of the 8th lunar month. 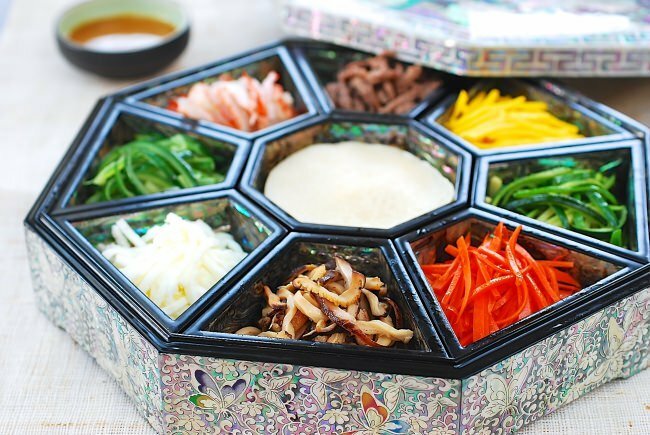 Outside Korea, Chuseok is also known as a Mid-Autumn Festival or Korean Thanksgiving. 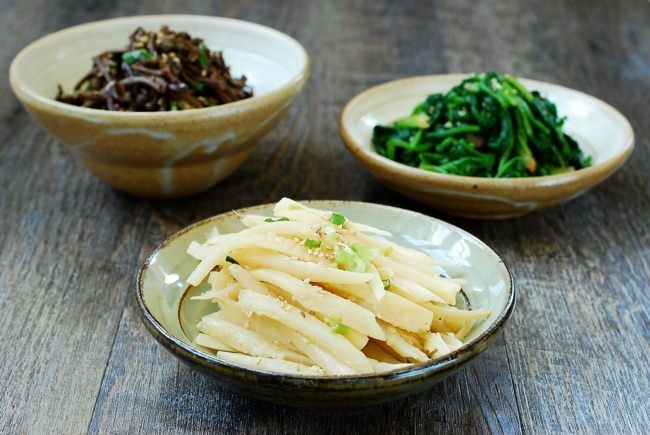 Families gather and celebrate the year’s harvest, paying tribute to their ancestors with a scrumptious spread which includes many traditional dishes, such as songpyeon, (송편, half-moon shaped rice cake), galbijjim (갈비찜), japchae (잡채), various jeon (전) dishes, soup, three color vegetable side dishes (samsaek namul, 삼색 나물), etc. 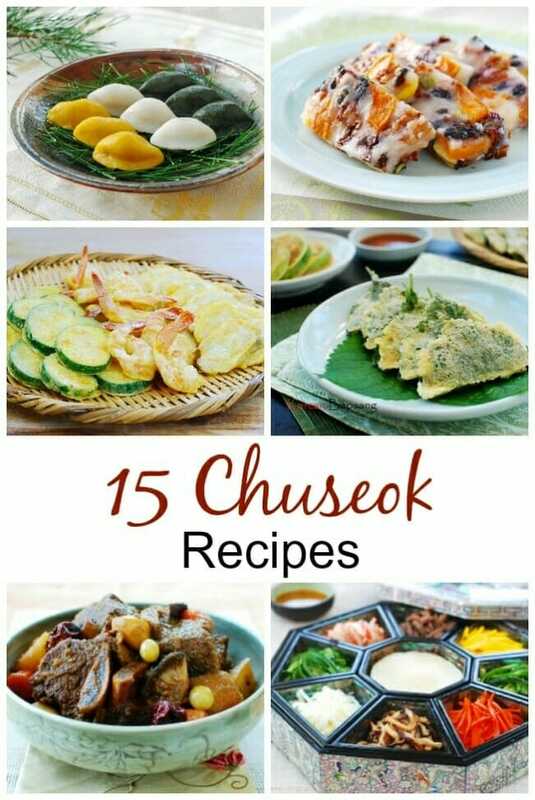 Here, I’ve collected 15 most common, traditional Chuseok recipes! 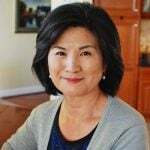 Hope you have a wonderful Chuseok with your family! 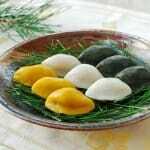 These little rice cakes are made with natural food coloring and stuffed with sweetened sesame seed filling. 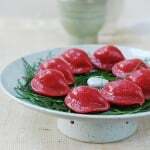 There are 4 natural food color options in the recipe, but you may also like this beautiful red beet songpyeon. 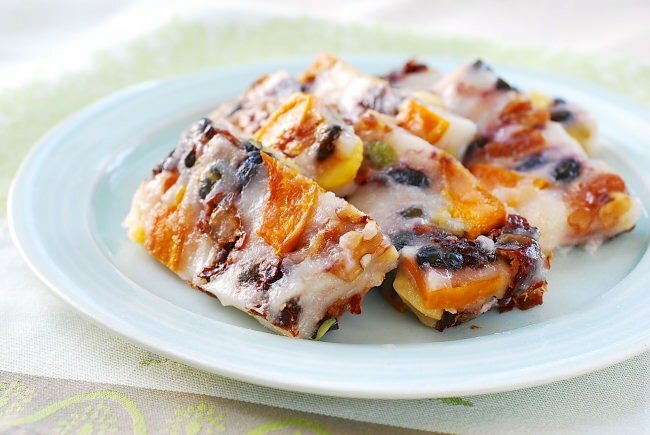 This rice cake is one of the easiest rice cakes you can make at home! No kneading, no shaping, no pounding, and no special tool other than a steamer is required! 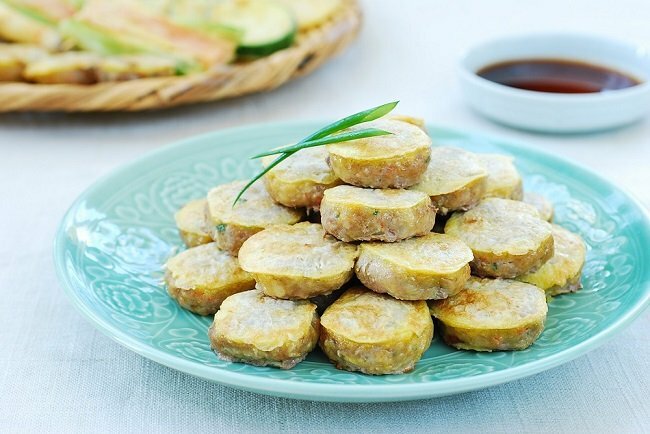 This variation of jeon is stuffed with a meat mixture and then coated with the egg batter. The perilla leaves lend a distinct, robust flavor to the mildly flavored filling as well as provide an overall textural contrast. A platter of small delicacies! 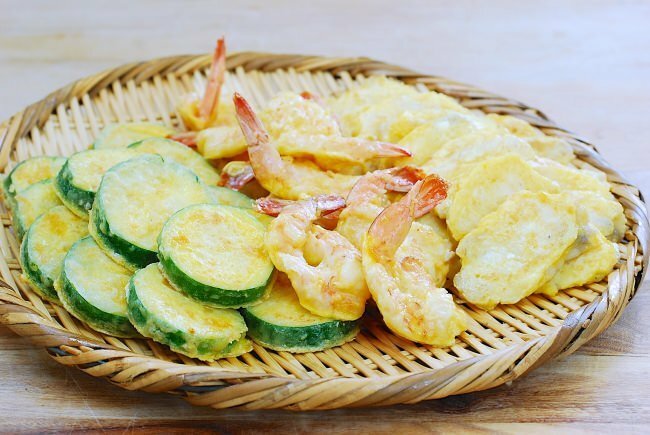 The small ingredient pieces are individually pan-fried in egg batter to create a soft skin. 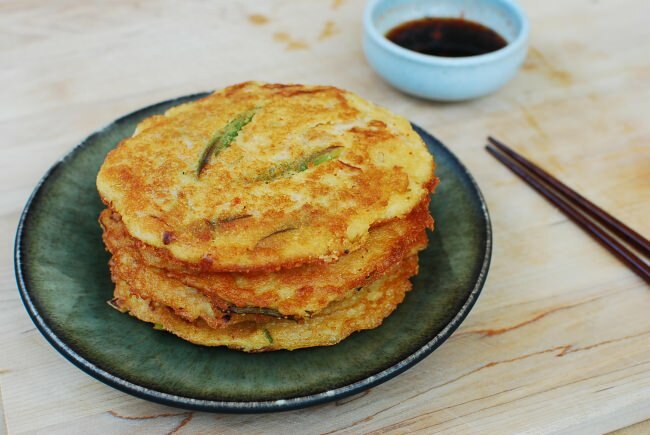 Most Korean homes make several types of jeon dishes (pan-fried battered food) for their holiday feast. 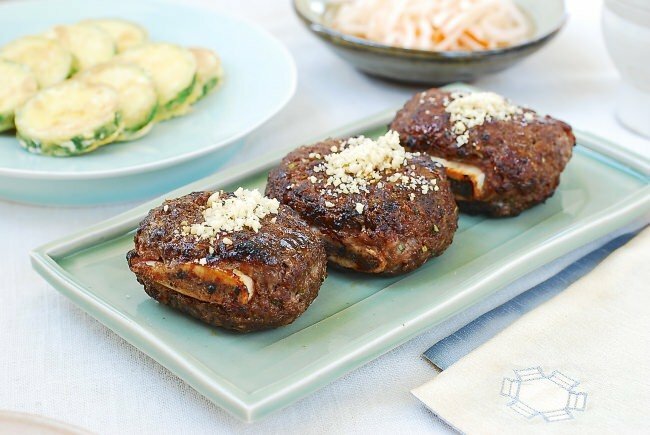 Wanjajeon, egg-battered and pan-fried Korean meatballs, is among the popular choices. A family favorite! 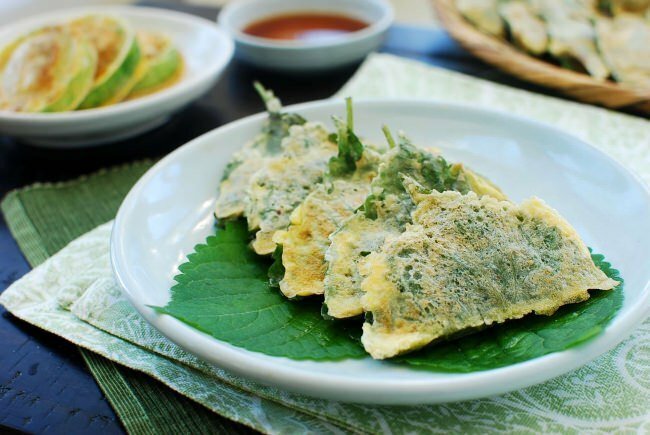 Nokdujeon (녹두전), aka nokdu bindaetteok (녹두 빈대떡), is a type of savory Korean pancake made with ground nokdu (mung beans). Soak the beans, and then ground into a batter. The rest is easy! 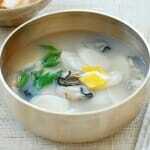 For the white color of samsaek namul, doraji namul is classic! 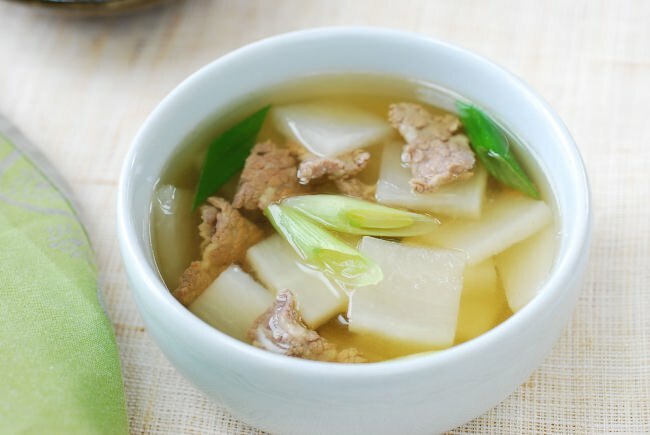 A common substitute is mu namul (radish). 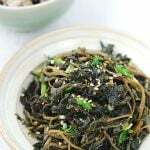 Gosari, which is also commonly used in bibimbap and yukgaejang, is the immature frond (known as fiddlehead) of a bracken (aka fernbrake). 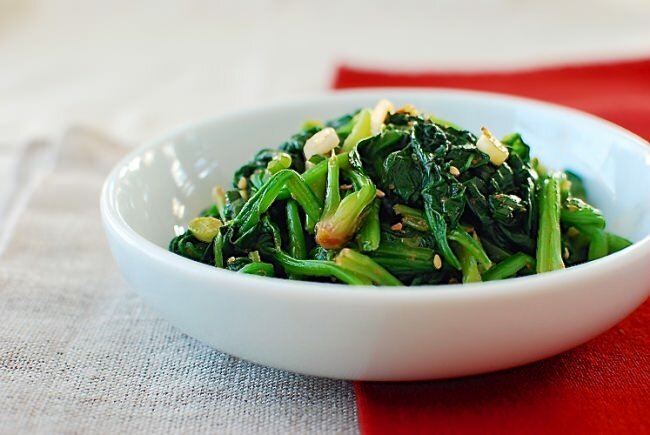 With a deep, earthy flavor and a chewy texture, it’s delicious when seasoned and stir-fried! 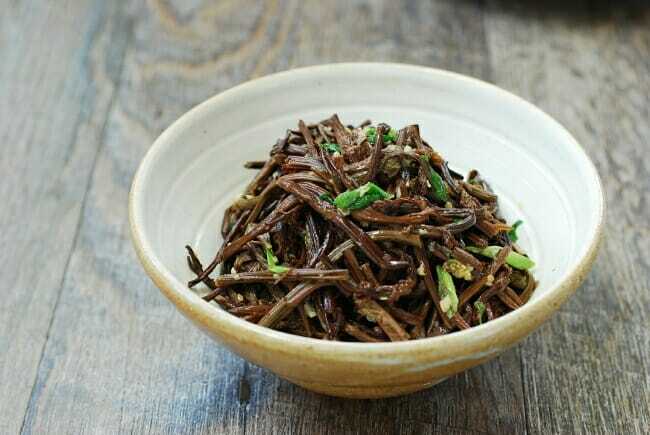 You can substitute it with stir-fried shiitake mushrooms for the black/brown color of samsaek (3-color) namul. 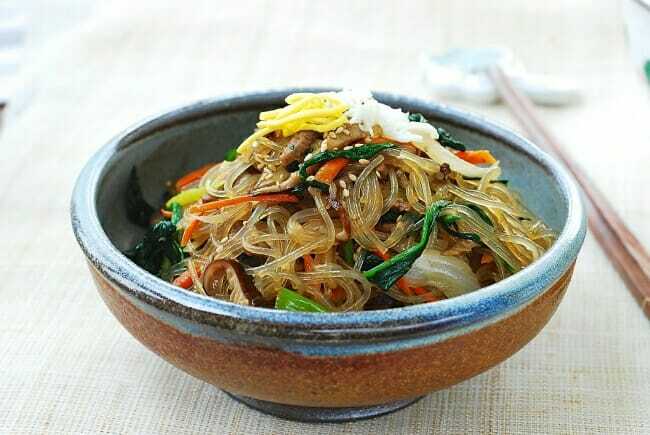 This japchae recipe is the traditional version! 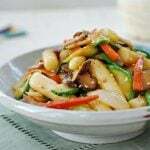 If you want to try something different, try my spicy seafood japchae. 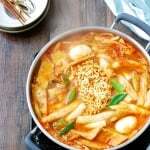 Growing up, my family served mu guk for Chuseok, but toran guk (soup made with taro) is also common. This is a stove-top, traditional galbijjim recipe! 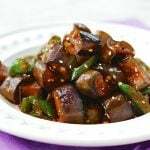 You can also use my slow cooker galbijjim or Instant Pot spicy galbijjim. 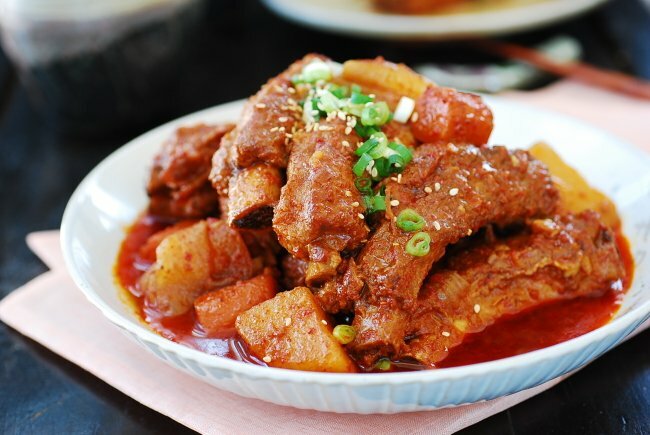 Although galbijjm made with beef short ribs are classic for Chuseok, depending on personal preferences, some people prepare dakjjim (braised chicken) or dweji galbijjim (braised pork ribs). 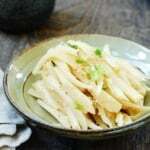 This recipe is a spicy version. 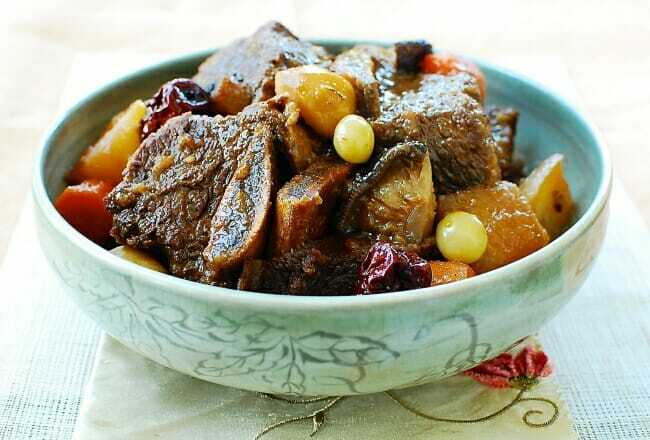 For a mild version, use the beef galbijjim braising liquid instead.